Like a clear sky or a fresh ocean view Common Projects ushers in the Spring with a sweet low top sneaker. 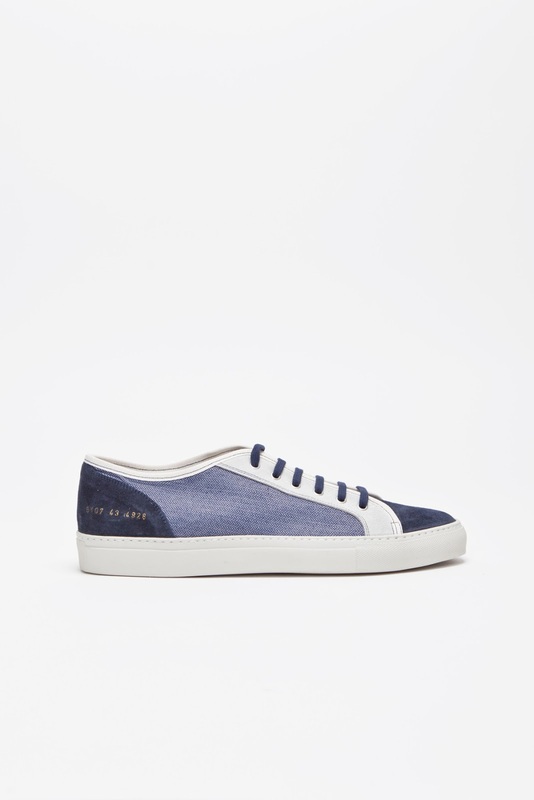 The Tournament Low Special Edition Sneaker is a perfect sneaker for the Spring season executed in navy suede, white cotton and blue herringbone. Anchored by navy laces, clean white sole and leather insole, Common Projects offers us a cool option to pair with all your Spring essentials from your cotton khaki suits to your seersucker blazers to your madras shorts. Available now at TresBien.com.